We are committed to providing the most comfortable and gentle experience for our patients. We use a topical anesthetic to numb the gum prior to administering the local anesthetic. A gentle technique ensures a comfortable procedure. 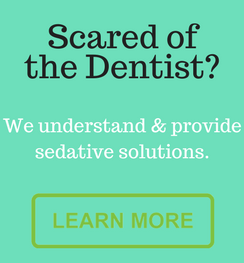 For patients who require a little extra assistance we offer either nitrous oxide (laughing gas) or Penthrox to help take the edge off your anxiety. Penthrox is a safe and immediate relaxant medication. It removes the anxiety some patients experience when it comes to injections and other dental treatments. For the more anxious patients and minor oral surgical extractions etc intravenous (IV) sedation can be arranged. IV sedation induces a state of deep relaxation and a feeling of wellbeing. The drugs used for IV sedation also have an amnesic effect. Many patients remember nothing at all of their treatment. We can also provide individual headsets for your listening pleasure. In many circumstances we will give a post treatment phone call for your reassurance and assistance.